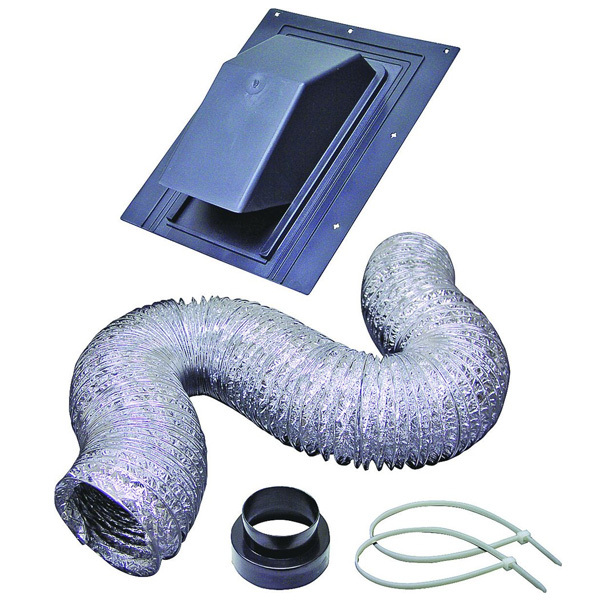 Roof installed vent kit is ideal for utility rooms, bathrooms, or any area where air venting is vital. Includes a black plastic dampered roof cap with flashing, 4″ x 8′ flexible aluminum hose, three adjustable clamps, and 1-3″ adapter. These 6 ft. polystyrene Durovent attic baffles provide a lightweight water resistant air channel. Ideal for high volume new construction or lower cost re-insulation. Economical way to meet energy code requirements for air flow. 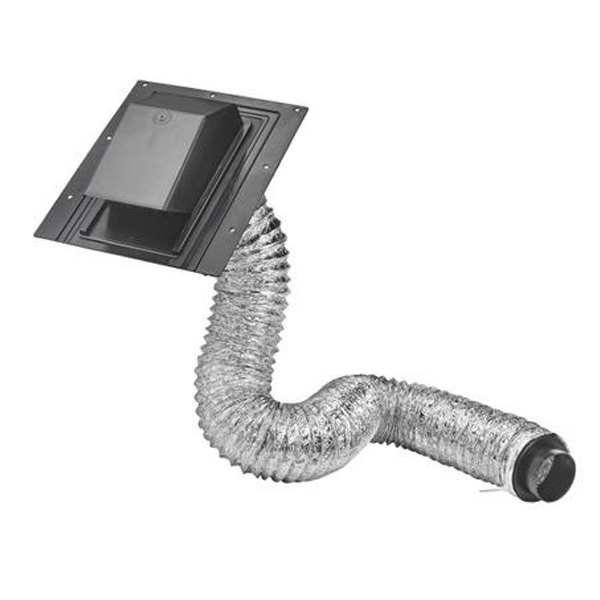 These attic baffles have a perforated center line to fit all applications.Installation of the Durovent Baffle eliminates the need for using a blocking material such as batt insulation between the vent and the wall top plate, as is commonly the practice for installation or rafter vents without an integral baffle. Brentwood's AccuVent systems provide cost-effective, energy-saving ventilation solutions for new and older homes alike. AccuVent creates a soffit boundary that allows air to circulate through the attic space while preventing wind-washing, moist air infiltration, and blown insulation drift. Healthy airflow in combination with full insulation coverage improves home energy efficiency while extending the lifetime of the roof. Designed for high-R-value roof applications, this system allows for thicker insulation in roofs with raised-heel trusses that are designed to increase energy efficiency. Baffle allows airflow and prevents insulation from blocking airflow. 100% recycle PVC. 50 vents/box. Air enters through the soffit vent and is conducted along the roof sheeting above the insulation blanket. Not only is the soffit free from drifting insulation, but the efficient flow of air eliminates condensation and thus prevents unhealthy mold and costly ice dams. High-Energy Design is for use with “high-heel” trusses (raised heel / high-energy truss designs) and very “high R-Value” roof insulation applications. Baffle allows airflow and prevents insulation from blocking airflow. Compatible with both ”blown-in“ or “batting” type insulations.